WANT TO MAXIMISE YOUR GLOBAL OPPORTUNITIES? There are many reasons for taking your business beyond the UK. More than 95 per cent of the world’s purchasing power is outside of Great Britain, and the internet and global payment options make it easier than ever to showcase and sell your goods to international customers. This guide is designed to accompany you at every step of the global trade journey, and help make growing your business internationally a straightforward and rewarding experience. We help retailers grow their online sales. See how your website shapes up for e-commerce success. 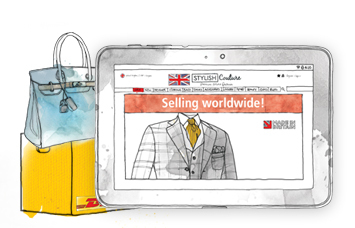 Helping you understand every step of the international e-commerce journey with our handy guide. Get the information and advice you need to make the most of international business opportunities. 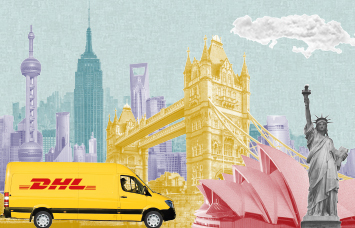 FOR EVERY £1 THAT YOU SPEND ON SHIPPING WITH DHL EXPRESS. Check back soon for country guides with key market facts and opportunities that will help you choose your next export destination. 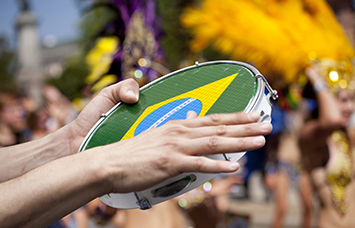 This week's #TradeUpdate looks at trade in #SouthAmerica, changes in #fastfashion and our new E-commerce Business of the Year award with @britishchambers.